Are Pets Soiling Your Chances of Selling Your Home? Pets are often so loved by their owners that they are allowed the run of the house. At their worst, doggie and kitty dictators mark their territory with pungent odors and unsightly stains. When you love these little furry friends, it’s hard to realize how much these pets may be hurting your marketing efforts in selling your home. If you are like most pet lovers, you may be a little on the sensitive side. 1. If it smells, it won’t sell. Your pet may be perfectly well mannered, but that doesn’t mean your home is odor-free. Most pet odor comes from fur and dander. Pets mark their territory by rubbing their fur on objects. That’s why your kitty rubs your ankles with her sides. 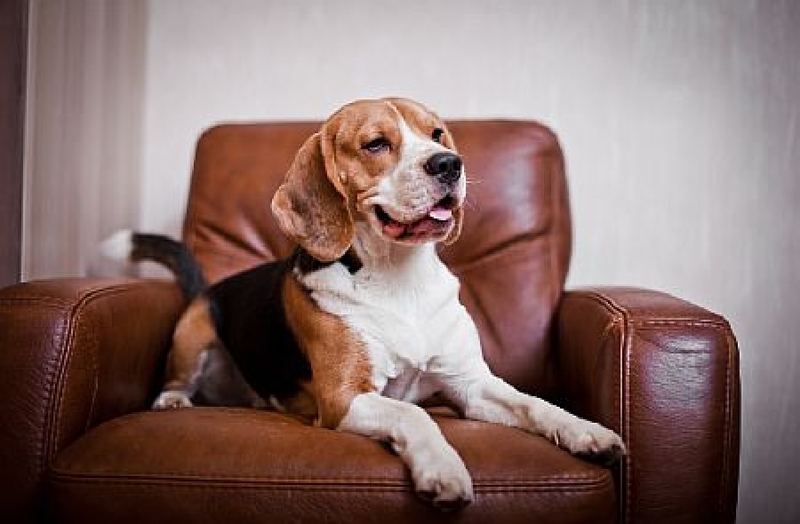 Minimize pet odors by not allowing your pets to sleep on couches and carpets. Provide them with a cuddly bed of their own and reward them lavishly whenever they use it. Deodorize often with Febreze, a product found on most grocery store shelves. Keep pets bathed and groomed more often than usual, so as not to add to existing pet odor. 2. Stains don’t have to be permanent. There are many good products to clean pet stains. Just visit your local pet store or key “pet stains” into your favorite search engines. What you will find are companies with advice and products, such as Planet Urine. Pet stores sell a product called Nature’s Miracle which also works beautifully. Hospital supply companies are also a great source for heavy duty stain and odor control products. 3. Vacuum daily. While your home is being marketed, vacuum the carpets daily with an odor deodorizer. You can find them in the cleaning supplies section of the grocery store. Remember to change bags more frequently than usual. Treat your home to a professional carpet cleaning. Also, open the windows and let some fresh air in. Pull back the drapes. Open vents. A closed in home will hold more odor than it should. 4. Keep pets from showings. Many buyers are suggestible. If they don’t see a pet, they’ll look at the home more objectively. If they spot your dog or cat, they will be alerted to look for stains and odors. Arrange to have your pet off the property for showings, and put their food dishes and toys out of sight, too. Keep cat boxes and backyard doggie loos scooped daily. If you have to board your pet to prevent it from doing further damage or soiling new replacement fixtures, do so. You will be rewarded with a higher selling price for your home. When you are in your new home, you can welcome your pet back from its “holiday” with a favorite treat and lots of snuggles. 5. Stains and odors may have to be disclosed. In many states, stains and odors that can’t be removed must be disclosed to the buyer or you may be held liable. That will automatically put you in a poor bargaining position with the buyer. If you aren’t sure what the extent of your pet’s damage is, you can purchase, rent or borrow a hand-held black light to shine on carpets and other fixtures. Some carpet cleaning kits include a black light for this purpose. Viewing your carpet this way will help you decide whether to clean or replace the carpet. Your agent will most likely advise you to replace the carpet. It will cost you much less money than a buyer’s discount. 6. Perception is everything. If your home doesn’t pass the sniff or stain test, it will adversely affect the way other agents and their buyers perceive your home. Your agent is depending upon other Realtors to show your home to their buyers. Many Realtors insist on showing only pristine homes to their clients. Once word gets around, you may find yourself with few showings which will cause the value of your home to drop. 7. Be realistic about your home’s value. A home is only really worth what a buyer is willing to pay. If your home has suffered damage due to your pets, it may be devalued in the marketplace. The only cure is taking action to eliminate the problem before your home goes on the market. Listen to your Realtor and follow his/her advice about the most cost-effective ways to manage your pet’s damage to the home. She or he will have suggestions and solutions that will put you right back on the marketing track. America House Buyers can assist with any sale if houses regardless of conditions.